Dana White was at Legacy 51 to scout Ricardo Ramos. He left thinking about Manny Vazquez. Vazquez ate a few of Ricardo Ramos’ best shots early in round one yet remained unfazed. Then it was his turn. He pushed Ramos up against the cage, got both underhooks in and took Ramos down. 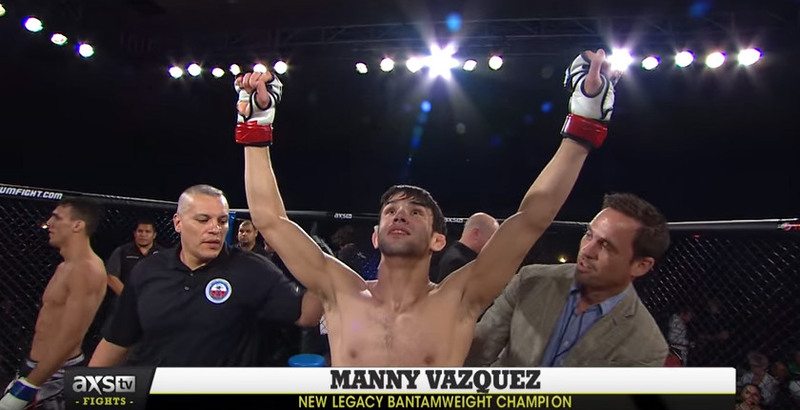 He kept him there, methodically transitioning to take Ramos’ back and sinking in a rear naked choke that made Ramos tap at 1:45 of round one, making Vazquez the Legacy FC bantamweight champion. Vazquez counted on Ramos coming out of the gate fast. “I knew he was going to come at me hard early and often with strikes in order to set up his clinch for a takedown, but I think he was surprised when he realized how much stronger in the clinch I was than him. When I was able to get the trip I knew I would have a big advantage on the ground, when I was able to pass his guard and take the back with ease. 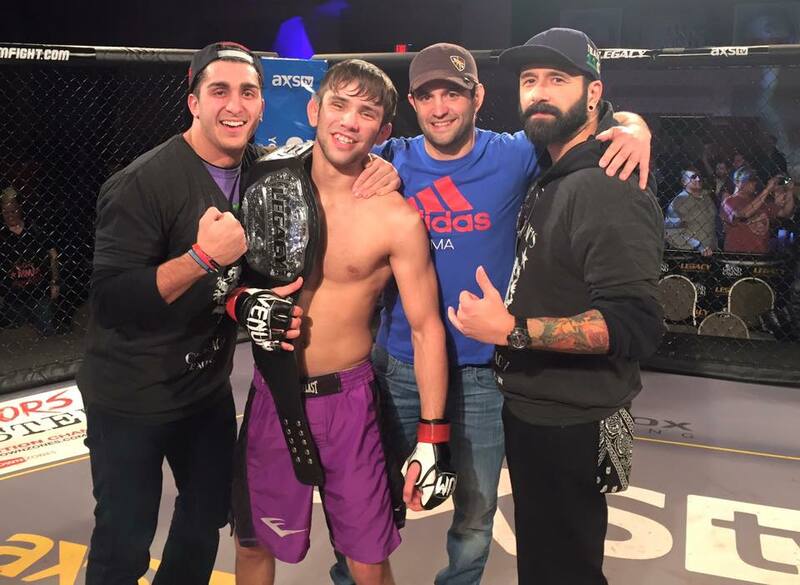 When I get on someone’s back it’s difficult for anyone to get out of there,” Vazquez told Chicago’s MMA. Winning a title is always an amazing experience, but doing it on live TV in front of the UFC president amplified that in a big way. Vazquez was able to talk with Dana White after the fight. Pat Miletich raved about Vazquez during the broadcast, marveling at his wrestling and explaining how impressed he was with his performance. Just 22, Vazquez has some great options in front of him. He will either get the call to join the UFC, or he will defend his new Legacy title on live TV again. But for now, he’ll enjoy the fruits of his labor, and his new, shiny championship belt. Was a great fight! Love this guy!!! Manny is legit on the ground. I rolled with him and his patience and timing is at a high level to go along with his skillset.